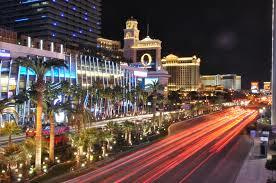 Visiting Las Vegas is like seeing the world in a day given the landmarks and hotels in the city. While there are certain parts of town that are a bit kitschy, it still is a fascinating experience as a whole. When you move away from the Strip leaving downtown, you’ll come across an enormous gleaming pyramid with two ziggurat-styled towers. This is the Luxor Hotel that was opened in 1993. Since that was such a long time ago, there have recent renovations that have turned it into a modern, contemporary classic. Not only does it feature an obelisk but also a replica of the Great Sphinx of Giza. Also, while you’re there, make sure you check the Luxor Sky Beam too. If you go past the MGM Grand on the Strip, then you can catch the Venetian to the right. Designed to replicate landmarks in Venice, you’ll find the St. Mark’s Campanile, Piazetta Di San Marco, the Rialto Bridge and the Palazzo Ducale when you visit the hotel. You can even travel in the bonafide gondolas as you watch the Doges mingle with the guests too. This is the grandest hotel of all in Las Vegas that was inspired by Lake Como. In fact, you can see the 8-acre lake (with the Fountains of Bellagio too) before you even enter the hotel itself. As you enter the resort, you can gaze in wonder at the Fiori Di Como on the lobby ceiling. Apart from this, you can visit the Bellagio Gallery of Fine Art. If you go in further, you’ll catch two other travel-themed destinations too: New York, New York and the Monte Carlo.